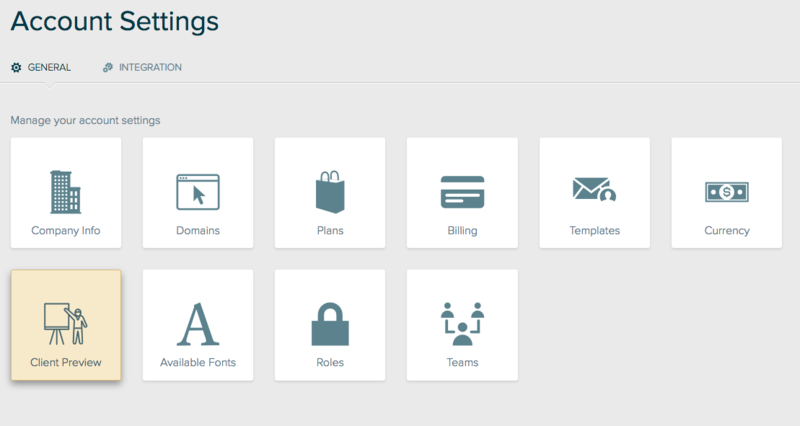 How to set up default settings for how client proposal previews look and function. You can the view settings for your proposals, in your Client Previews settings, so every newly created proposal will keep these settings by default. Your existing proposals will need to be adjusted on a proposal by proposal basis from the Client Preview Settings. 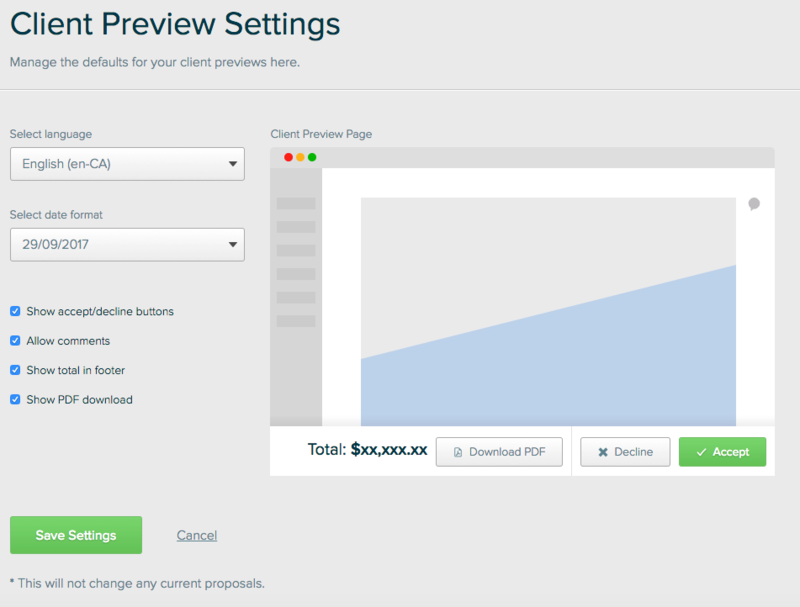 From there, you can check on/off any preview settings like showing the Accept or total buttons, allowing comments and if you want your client to have the option to download a PDF version of your proposal.